The iPhone already has a pretty awesome camera, especially if you happen to own the latest generation. You can use it as your main or backup camera on the go. But viewing things on your phone’s screen can be quite challenging under bright sunlight. The Daylight Viewfinder is a neat accessory that blocks out external light to make taking pictures and videos outside during daylight easier. The Daylight Viewfinder is a patent-pending eyepiece for iOS devices. It is bundled with a special app that shrinks the live camera image down to a size that fits under the eyepiece. That won’t keep you from seeing and capturing high quality photos on your phone easily. The gizmo is compact and easy to take around. This is currently being funded through Kickstarter. Capturing photos using your iPhone is fine. But in order to get the best quality pictures, you are better off using your DSLR. Thanks to the ioShutter, you can control how your DSLR takes photos using your iOS device. 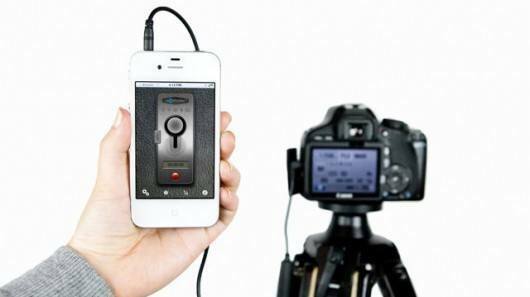 This is a remote control app/cord which lets you trigger your camera in various ways. It has multiple modes for photos, time-lapses, and other exciting projects (standard trigger, motion trigger, sound trigger, time-lapse, timer, and bulb). All you have to do is download the companion app and plug the cord between your camera and smartphone to get started. The ioShutter camera remote will set you back $70 though.